Coconut MCT is produced by heating coconut oil above its melting point, allowing it to cool and then separating the solid portion of the oil from the liquid, a process known as fractionation. This process can take several hours and results in an oil that is tasteless, odorless and remains in a liquid form, even when refrigerated. Coconut MCT is an absolutely saturated medium chain oil, making for a long shelf life. Coconut MCT oil is also known as liquid coconut oil and is edible oil used for cooking. Coconut MCT has many uses, from personal care purposes to dietary supplements and cooking and has been shown to have many health benefits. Skin Health – easily and quickly penetrates the skin and feels lighter and less greasy than other oils. Can also be used on the scalp and in other hair care applications. Cosmetics – used in the preparation of soaps, lotions, and ointments. Aromatherapy – can be used as a “carrier oil” as it facilitates the absorption of other oils and herbal extracts. Medications – used due to its antiseptic and disinfectant properties. Dietary supplement – can help with modest weight loss by helping to burn fat and calories, and reducing hunger, thereby resulting in less caloric intake due to a feeling of “fullness”. Culinary – Coconut MCT is odorless and tasteless and can be consumed alone, mixed into recipes, or used for cooking, though it does have a lower smoke point, at 320 degrees, when compared to virgin coconut oil. Diabetes – Consuming fractionated coconut oil can help to lower blood sugar levels by increasing insulin sensitivity in adults with Type 2 diabetes. Cholesterol – While results are mixed, studies suggest that consuming fractionated coconut oil can improve cholesterol levels, which may lead to a reduced risk of heart disease. Epilepsy – The components that make up fractionated coconut oil are transported directly to the liver, turned into ketone bodies, which are compounds that have been found to have therapeutic effects in patients with epilepsy. Brain function – Studies have shown that consuming fractionated coconut oil can improve learning, memory and brain processing in some patients with mild to moderate Alzheimer’s disease because the ketones the oil produces in the body act as an alternative energy source for the brain. Though more studies are needed, fractionated coconut oil has been shown to have several health benefits and is a versatile oil with many uses. Our team is ready to hear from you. © Copyright 2019. 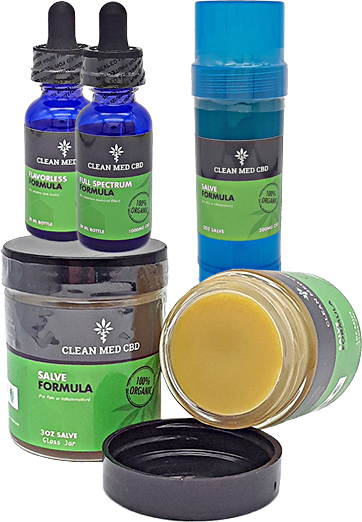 CleanMED CBD. All rights reserved.